After a long night of both dusk and dawn bat surveys, being home and about to hop in a hot shower was just what I had been wanting. I had not long put down my prescription glasses when I noticed a dark speck on the white grouting between the tiles that make up the walls of the shower. Squinting, I could just make out what looked like the world’s tiniest scorpion. 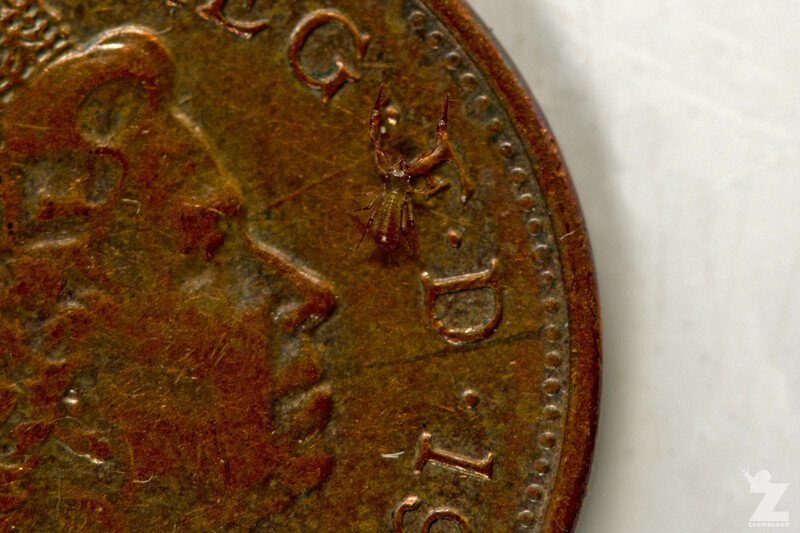 With a steady hand, a few small British coins as a size reference and the aid of my macro lens, I was able to get a little closer. Sure enough, I had been sharing my shower with a pseudoscorpion. 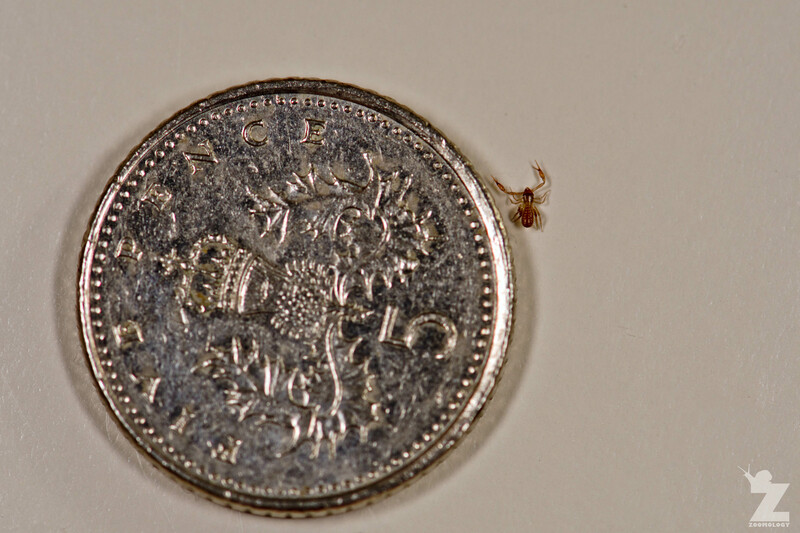 How many species of pseudoscorpion are there? Entomologist, Liam Andrews, has identified our specimen as a Common Chthonid (Chthonius ischnocheles). This species is locally common, and is usually found under stones, bricks and other debris, as well as woodland soil and litter, occasionally in bird and other animal nests… and apparently sometimes in people’s showers! 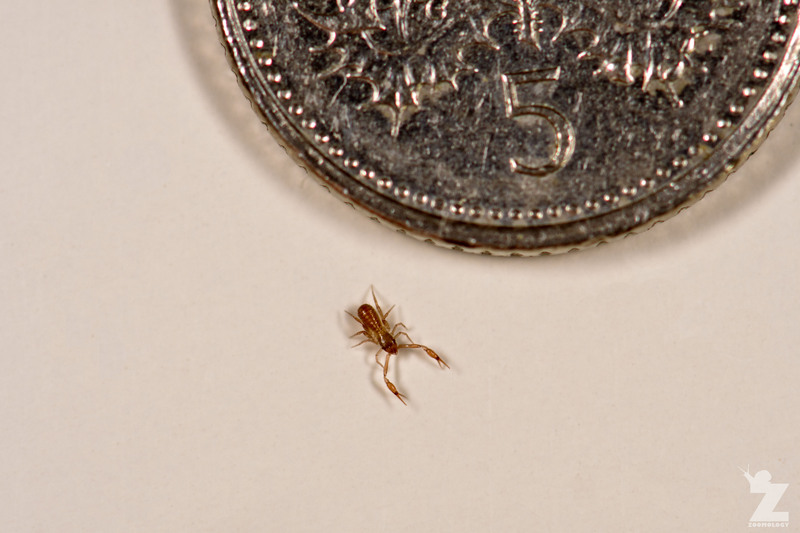 How long have pseudoscorpions been around? No, not unless you are a springtail, mite or other tiny invertebrate prey! How do they capture their prey? 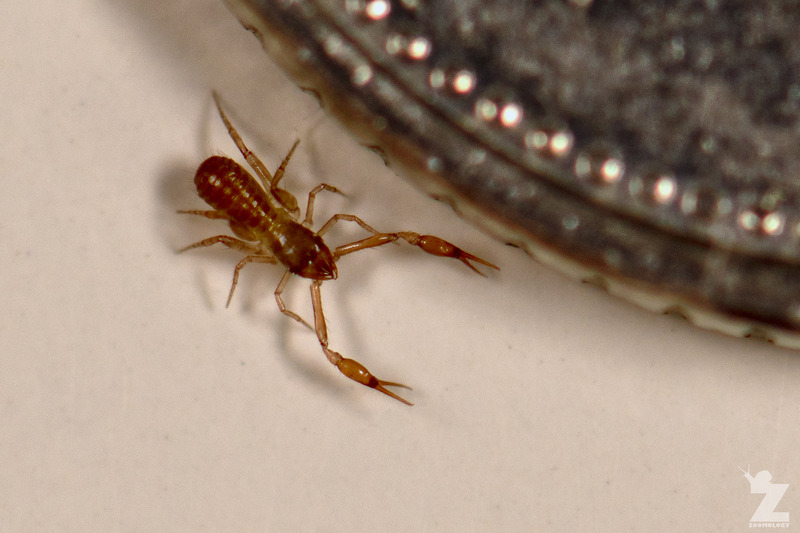 Where can I find a pseudoscorpion? Some species are phoretic, meaning they grab a hold of a larger, sometimes flying host, and can hitch a ride! Would you like to read about another of our Arachnid adventures? Check out these blog posts. Many thanks to Liam Andrews of the UK Pseudoscorpion Facebook Group for his corrections, pseuscorpion identification and useful information. Definitely visit the group if you have any pseuscorpion-related questions! Interesting! I’ve never seen that before. How interesting. I would guess that being so tiny they are often overlooked.